I’ve always been drawn to the sea and everything in and around it. I lived aboard a yacht and sailed for several years. I studied marine biology and learnt photography underwater. Nowadays, I’m attracted to the largest things in the sea and spend a lot of time shooting ships at sea. 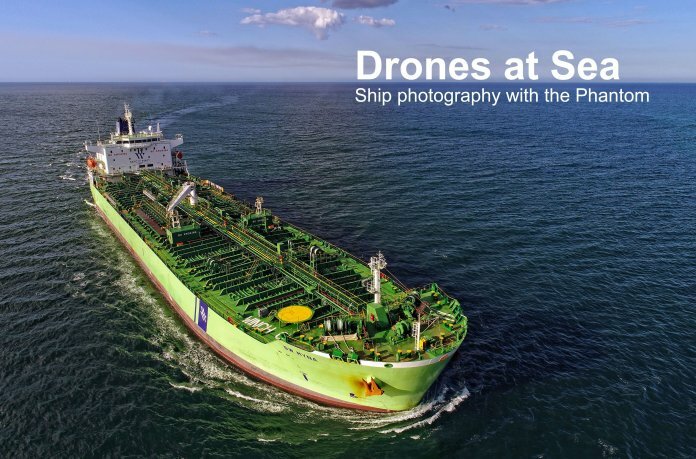 I’ve photographed thousands of ships for ship photo websites with a conventional SLR, but a few years back I saw the work of a professional ship photographer that worked from a helicopter. His images took my breath away and made my photos taken from water level seem lifeless by comparison. His images of ships under way came to life with the extra dimension provided by the aerial perspective. When the Phantom 3 Advanced and Phantom 3 Pro were released, they were revolutionary aircraft that revolutionised my photography. The Lightbridge control system was like magic. The Phantom could now fly much further and the crystal clear live view didn’t break down at a distance or show appreciable lag. Now I had a new way to photograph ships at sea and could capture images like the ones that had inspired me. I could put a camera in front of a fast moving ship and capture it as few people ever see it. 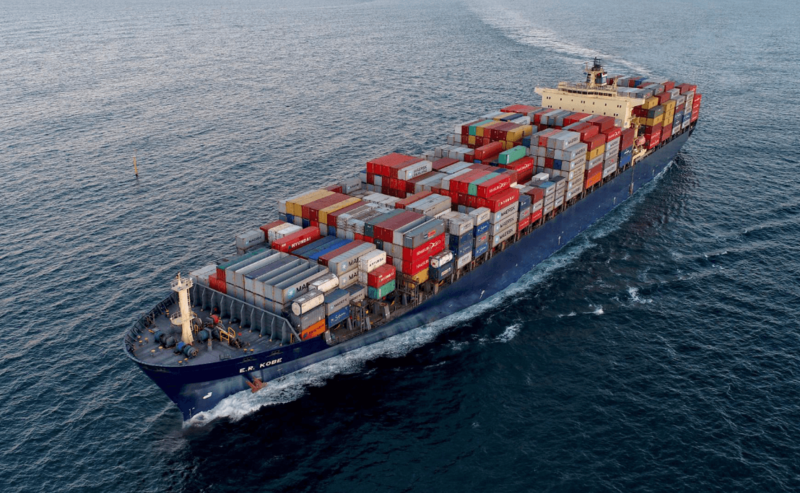 All the detail of the cargo, the lines of the sleek hull, the bow wave, the sense of movement that shows what 80000 tons of steel looks like making its way across the sea. ER Kobe, a 277 metre container vessel loaded with hundreds of containers travelling at 17 knots. The luminous late afternoon light makes this picture almost glow. But the camera was always leaving me wanting more. It was good but not in the same league as what I was used to on the ground. 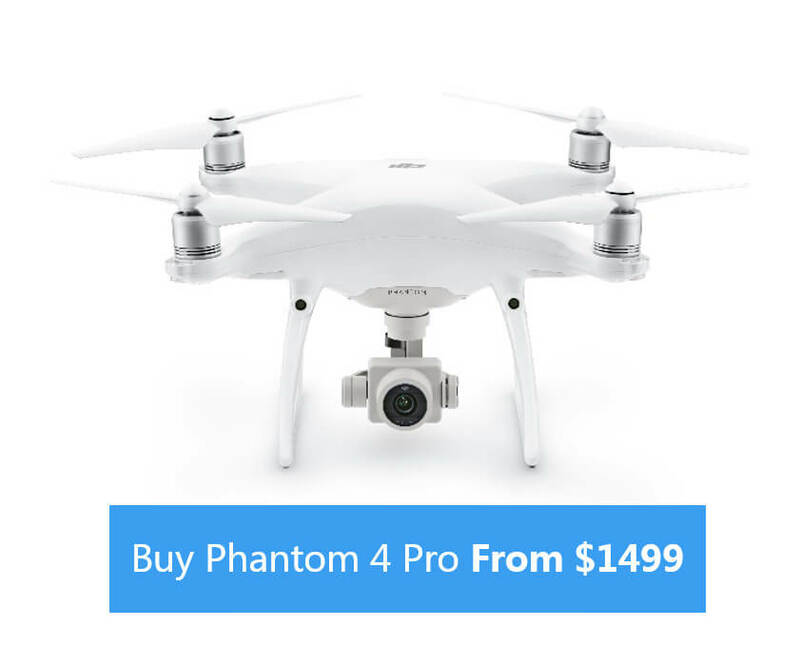 That all changed in late 2016 with the release of the Phantom 4 Pro. On paper the camera was such a significant upgrade that I ordered it immediately. It turned out to be everything I hoped for, the camera is fantastic with 20MP resolution and a real aperture. The drone was refined from what I was used to and impressed with the advanced technology and increased flight time. This was the flying camera I’d been waiting for. It’s the perfect tool for my photography of ships at sea. Ships under way are one of my favourite photographic subjects and the Phantom 4 Pro is what I use to create images that make the viewer say…Wow! 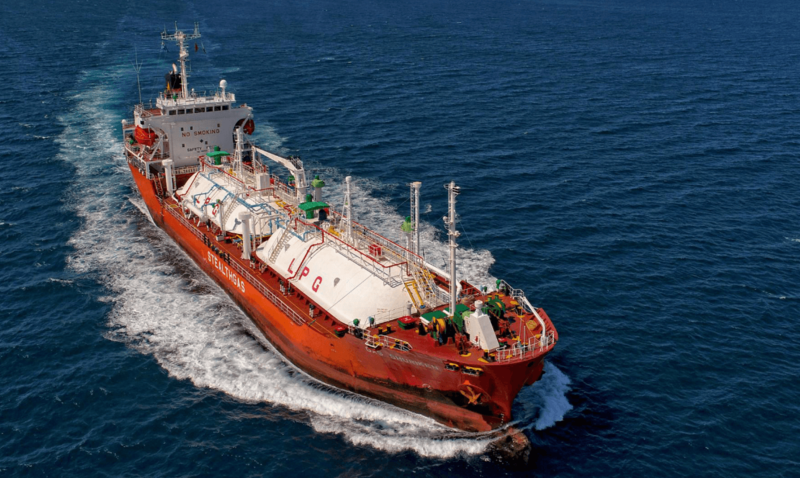 Gas Shuriken, a 99 metre LPG tanker. The combination of bright colours, fine detail and the swirling bow wave and wake brings this ship photo to life. Offshore is an unforgiving environment and just one mistake can be the last. My P4 Pro has never missed a beat and easily handles flying at sea. You have to be completely familiar with all the operations of the Phantom to get to the ship and find the best angles as it steams along. Some are surprisingly fast, but Lightbridge is great for smooth and precise control for action shooting and tight framing of moving subjects. The two most important issues I have to consider are light and wind. Wherever possible, I like to shoot with the light and even better if there are some clouds to soften the light. I have to think about the angle of the light to get the best images. With a flying camera, I can keep up with a fast moving ship and put the camera on the best side for the light. I can also move around the ship to show different angles and shoot from varying heights to show off the subject. 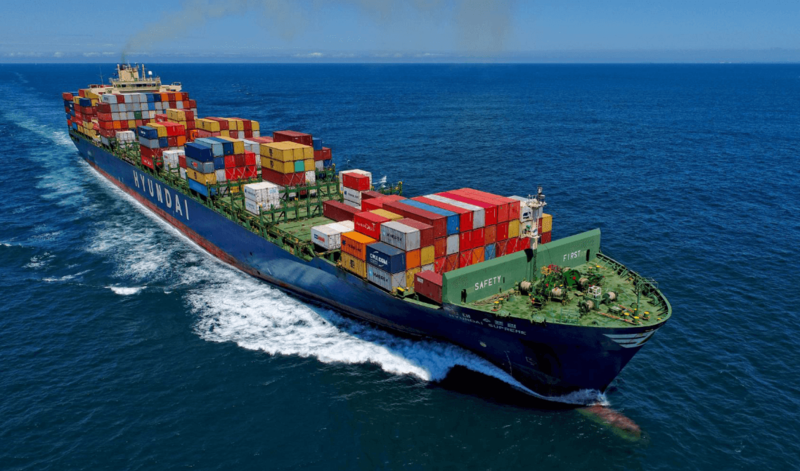 Hyundai Supreme, a 294 metre container ship at speed powers into the frame. The bright colours and fast movement really make this photo. Wind is a critical factor that I have to consider if I want to bring the Phantom home at the end of the day. As there is nothing to hit where I fly, I turn off obstacle avoidance which increases the speed of my Phantom but I avoid Sport Mode which depletes the battery faster. I never fly offshore if it means a return flight against more than a gentle headwind, but I’ve often gone out into a 15 knot wind, knowing the Phantom can easily deal with it and have no worries coming home with a tailwind. 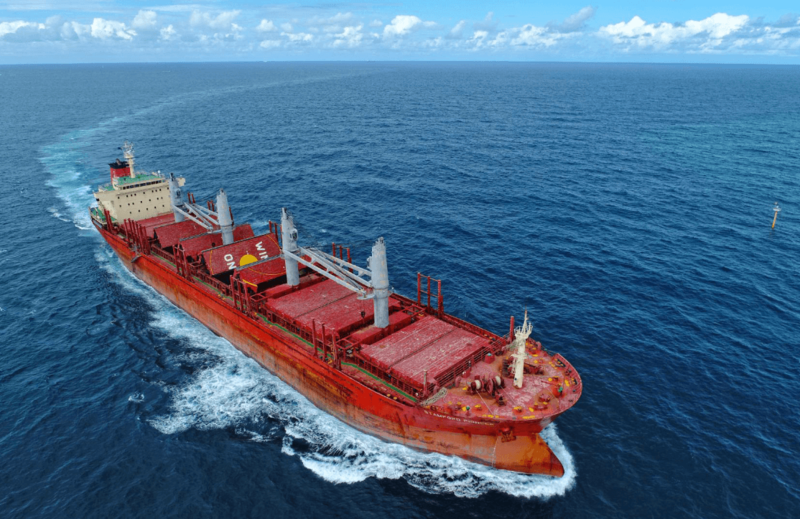 This shot of Stamford Pioneer, a 180 metre bulk carrier, is one of my favourites. Flying higher shows the curve in the wake as she turns at speed. The photo initially appears very simple with just orange, blue and white, but looking closer shows fine detail in the water’s surface: the rust streaks, the bow wave and ship’s detail. In bright light, I like to offset exposure by -0.3 or even -0.7 stops and because it’s important to get the exposure I usually shoot brackets using the AEB feature. That way I have a couple of exposure options to choose from because I can’t go back and do it again to get it right. With the 20 MP sensor I get great images with lots of detail, and I can even crop and still get something good. The camera‘s dynamic range allows it to catch detail in the shadows but still show crisp detail in bright sunlit bow waves and clouds. That’s something my previous drones could never do. And because the sensor is so much bigger than the previous model, I can still shoot in the luminous light around sunset for spectacular images. 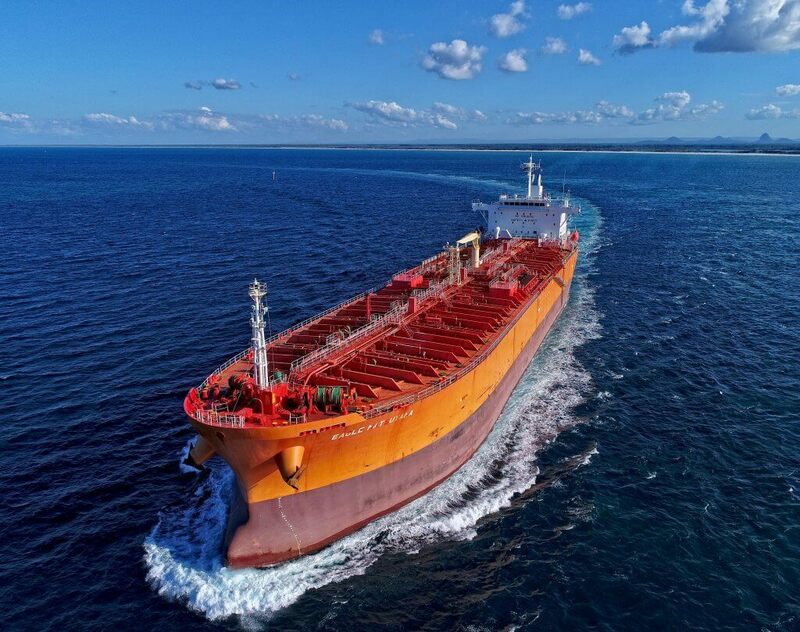 This shot of Eagle Matsuyama, a 181 metre tanker, wouldn’t have been possible without using a drone. The Phantom 4 Pro gives me performance and picture quality to create breathtaking images. 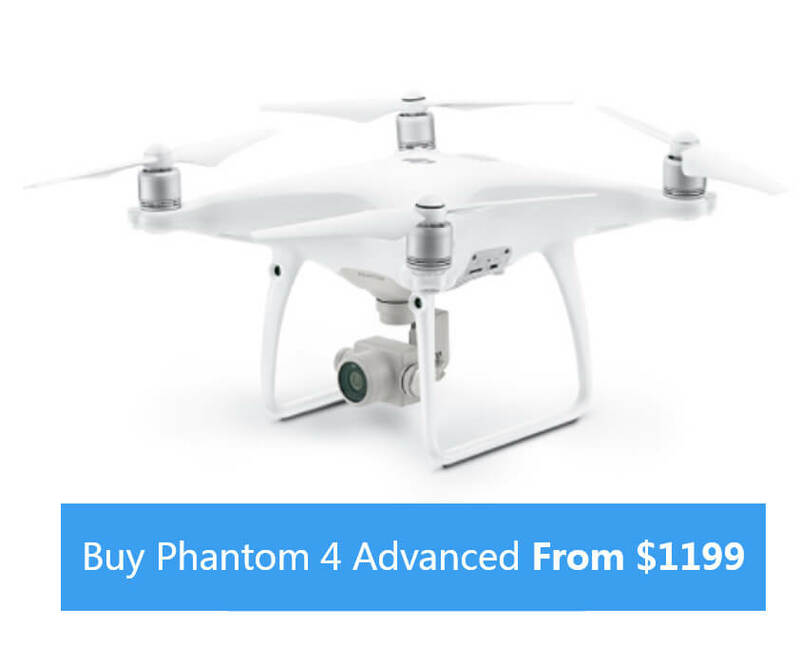 I've always been interested in photography but when the Phantom 2 Vision came out in 2014, it changed my view of photography for ever. These days I fly the Phantom 4 pro. My favourite subjects are ships at sea and coastal scenery that I shoot as big-picture panoramas.